With summer peering around the corner, I'm now a classified hoarder of the sweet fruit that comes with the season. 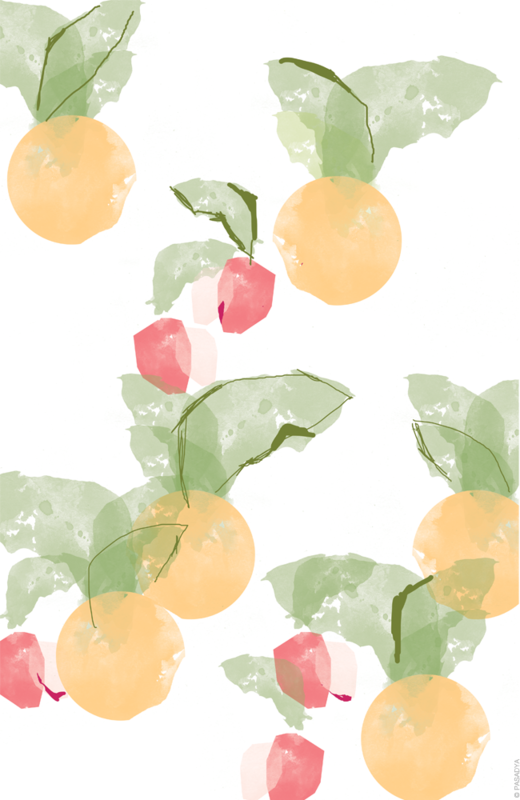 With peaches, strawberries, sunglasses and swimming on my mind these days, I kept thinking of this printed image in my head. So, finally, I just sat down to make it come to life one warm night this past weekend. The only problem with delicious images printed in front of my face is the consequence of me wanting to turn around and eat all the fruit in the fridge. That's a risk I'll just have to take. It's healthy anyway, right? Hope you're having a sweet start to your week! I'll stop with the puns now. It's been FOREVER since I've browsed through my favorite blogs like yours (shame on me!) and I have to say those fruit prints are lovely! They immediately caught my attention, gorgeous girl! :-) Hope your enjoying the summer!